There has been a surge in Electric Vehicle (EV) ownership over the last few years. As of February 2019, there has been over 195,000 new registrations of electric cars in the UK, including pure electric and hybrid options. Many of the top UK manufacturers offer EVs as part of their range. But what are the options for charging Electric Vehicles? And how do you go about installing one at your home or place of work? 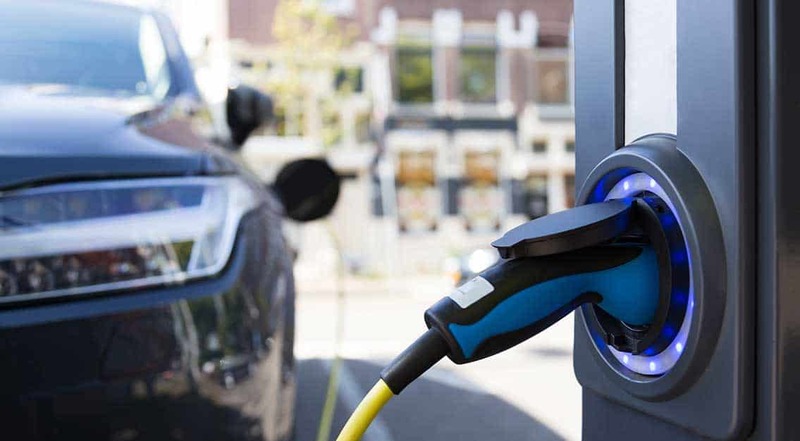 K&L Electrical are qualified Electric Vehicle Charging Equipment Installers, and offer a straight-forward and cost-effective approach to supplying and installing EV charging points. There are three main types of Electric Vehicle charging options – rapid, fast and slow. Rapid charging: available in two power options – AC and DC. Both of these will usually charge the majority of EVs to atleast 80% in around 30-60 minutes. This is dependent on battery type and capacity. 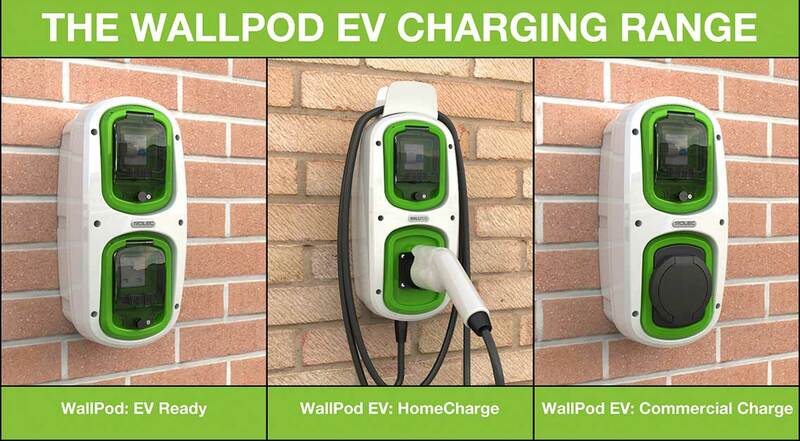 Fast charging: These units usually provide a full charge for EVs in around 3 to 4 hours, and are a tethered Type 1 or a Type 2 socket. Slow charging: These power units are most suitable for overnight charging and usually provide a full charge for EVs in 6 or 12 hours. K&L Electrical are able to advise you on the most suitable EV charging option for your property, please get in touch for further details. 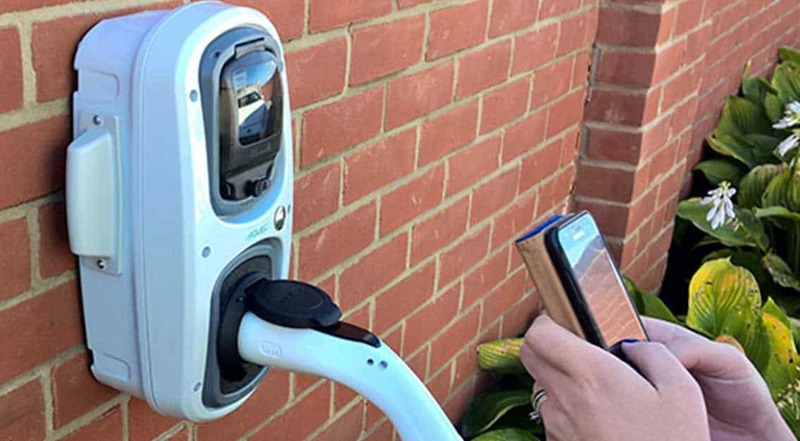 Popular options for installing EV Charging Points at home include the fast or slow charging units, with ratings of between 3kW and 7kW. EV owners tend to charge their vehicles overnight as it is the easiest and most cost-effective way to recharge. Usually, domestic charging requires off-street parking as the meters are wired directly to your central power supply (usually on its own circuit for safety). But if your car is parked on the side of the road talk to us and we will see if we can make any recommendations, there are on-street charging units available. K&L Electrical are able to supply and fit Domestic Electric Charging Points, get in touch for further details. Many businesses are adopting Electric Vehicles into their fleets as a way of cutting emissions and reducing running costs. Usually, the faster or rapid charging units are installed on commercial premises to help charge company vehicles faster. Company benefits in the form of grants and enhanced capital allowances are available for workplace charging units. K&L Electrical are able to supply and fit Commercial Electric Charging Points, get in touch for further details. We work with many of the leading brands and offer a wide range of Electric Vehicle Charging Points. Brands such as Rolec, Zappi, Growatt, EO, Evolt, Juicebox, Alfen, Schneider Electric and others. Power unit options include simple Plug and Play units as well as Smart charging points, which enable you to control and track recharging via a smartphone app. Electric Vehicle Charging Points are WIFI enabled which enables over-the-air updates to software/firmware. They are durable, weatherproof and built to last. K&L Electrical are able to advise on the most suitable charging unit for your Electric Vehicle, talk to us for further details on 01925 225191. There is also a Government Grant available to help reduce the cost for you. The OLEV (Office for Low Emission Vehicles) Grant provides up to £500 towards the cost of your EV Charging Point. Click here for more information. While browsing the web looking for a company to rewire our three bedroom semi with conservatory, I came across K&L Electrical (electrician2hire), run by Kevin and Lee.The site claims a full rewire for a three bedroom semi in 3 to 4 days (unoccupied). I arranged for a quote and they came to Denton in Manchester within 2 days (Friday afternoon 23 August). I had the quote from Lee (which was a lot less than I was expecting) by Thursday 29 August. Lee contacted me on 2 September and said they could start the job on Tuesday 10 September.As good as their word the job was completed in 4 days and that was with us still occupying the property! Having your house rewired whilst living in it is not something you'd volunteer for but the team made the job bearable. Then team did a great job cleaning up every day and they was very pleasant and friendly.We would recommend this company to anyone. K & L worked on my property in December 2012 so i could make it safe to rent out, and again on a heating problem in February 2013.Lee and Kev were both friendly and helpful, they gave full explanations of everything they were doing in a way the lay person could understand. I would wholeheartedly recommend K&L to anyone – they were professional and considerate, taking good care of the property and they worked long and hard to ensure that the project completed on time.They also gave recommendations of good suppliers and provided clear billing information that demonstrated value for money. I will always use them now for any future projects.Thanks Lee and Kev for providing fantastic service.